Its not always about Fire and Incidents. Its the behind the scenes stuff you don't see by chasing around fire trucks with your scanner. The delivery of toys and goods to needed kids by a Fire Department is the best thing you could ever take pictures of. 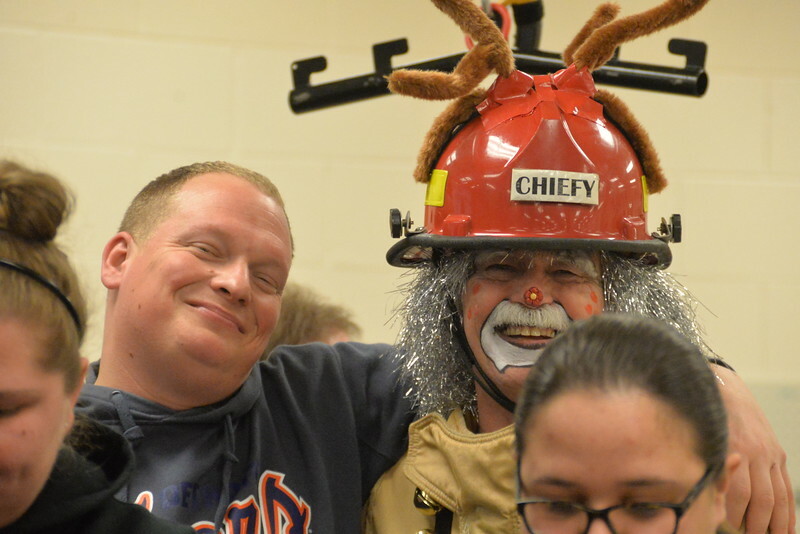 The Dearborn Fire Department spent Friday not fighting fire, but giving joy to local children. As part of the work of the Firefighters Burn Drive charity, dozens of firefighters and supporters took toys, clothes and other presents to patients at local hospitals to ensure that they have a great holiday season. Armed with the man in red himself, Santa Claus, the department delivered presents to Oakwood center for exceptional families, Ronald McDonald House, The Penrickton Center for Blind Children and the C.S. Mott Children's Hospital at the University of Michigan.